Bell’s Palsy, or facial paralysis, is a loss of motion or severe weakness of the facial muscles on one side of the face. This occurs when the nerve that controls the muscles of face swells and half of your face droops. This condition can be worrying, yet a lot of people make a full recovery. In 19th century, Sir Charles Bell, a Scottish surgeon described the connection of facial nerve to the condition. The facial nerve controls the vast majority of the muscles in the face and parts of the ear. It passes through a narrow gap of bone (called the Fallopian canal) from the brain to the face. If the facial nerve is inflamed, it will press against the cheekbone or may squeeze in the narrow gap. This can cause damage to the protective covering of the nerve. If the protective covering of the nerve ends up harmed, the signals that move from the brain to the muscles in the face may not be appropriately transmitted, prompting debilitated or paralysed facial muscles. The precise reason for this condition’s occurrence isn’t apparent, although doctors have pointed out the contribution of the herpes virus in aggravating the nerve. This is a similar virus that causes cold sores and genital herpes. The facial nerves control flickering, opening and shutting of the eyes, smiling, salivation, lacrimation (generation of tears), and frowning. They connect with the muscles of the stapes, a bone in the ear associated with hearing. ● An affected ear may cause sensitivity to sound. ● Changes in the volume of tears the eye produces. ● Drooping in parts of the face, e.g., one side of the mouth. ● Drooling from one side of the mouth. ● Feeling of taste may end up altered. ● Irritation in the eye (the eye doesn’t blink and becomes dry). ● Sudden weakness in one side of the face. ● Trouble shutting one of the eyelids. What is Bell’s Palsy Diagnosed? In this exam, your specialist studies your face and requests that you move your facial muscles by shutting your eyes, lifting your forehead, showing your teeth and staring, along with other different movements. This test can affirm the presence of nerve damage and determine its severity. An EMG measures the electrical movement of a muscle in response to stimulation, and the nature and speed of the conduction of electrical impulse along a nerve. Magnetic Resonance Imaging (MRI) or Computerised tomography (CT) might be required once in a while to detect other likely sources of weight on the facial nerve, for example, a tumour or skull fracture. What Essential Steps You Should Take? ● Record any symptoms you’re experiencing. Make sure to incorporate any that may appear to be random to the purpose behind which you booked the appointment. ● Record key individual data. 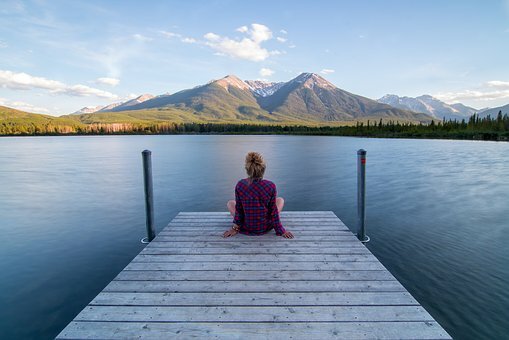 Have you had any significant stress or life changes as of late? Sharing this kind of data may enable your specialist to make a diagnosis. It will also help you in recognising stressors and eliminating them. ● Make a list of all medications. Incorporate the dosage amount of any medicines you’re taking, and remember to record any vitamins or supplements that you’re taking. Sometimes medicines start affecting us without giving any warning signs. It is essential to screen the multivitamins and syrups as well. ● Take a relative or friend along, if possible. Sometimes, it can be hard to recall the more significant part of the data in an appointment. Somebody who goes with you may recollect something that you missed or overlooked. 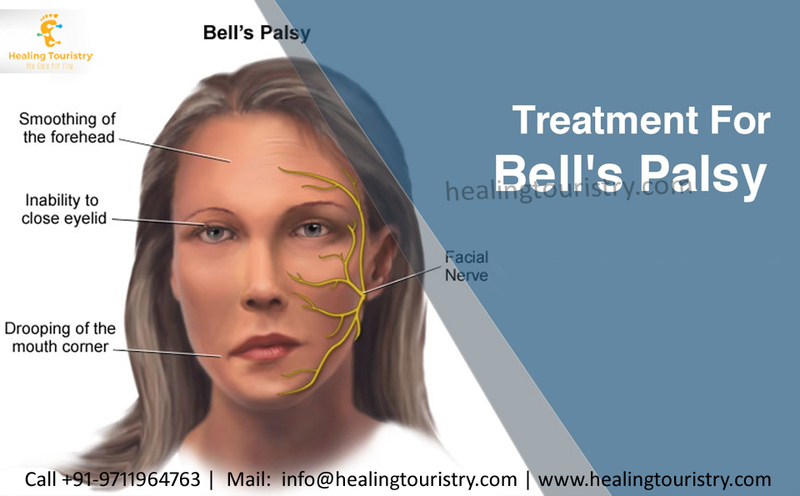 What is Treatment Procedure for Bell’s Palsy? ● Apply moist,warm cloth on face. Putting a washcloth soaked in warm water all over face a few times each day may help ease the pain. ● Take over-the-counter pain relievers. Aspirin, ibuprofen (Advil, Motrin IB, others) or acetaminophen (Tylenol, others) can help with the pain. ● Use Acupuncture. For a large number of years acupuncture or needle therapy has been utilised to aid Bell’s Palsy recuperation by tending to a hidden lack in qi (one’s intrinsic energy). Through treatment, qi is stimulated as bloodstream is enhanced to the face. Just in case your symptoms do not improve, the doctor may recommend facial nerve decompression surgery. Usually, the final result of the facial nerve decompression surgery is seen about one year after surgery. Complete Blood Count, imaging (MRI and/or CT scans), and EMG and ENoG are often performed to conclude if facial nerve decompression is a good treatment option. This procedure is the last resort in case other methods fail to work. What are the Alternative Options to Improve the Symptoms? ● Use your finger to close your eye repeatedly for the day. ● Use lubricating eye drops. ● Wear eyeglasses during daytime to protect your eye. ● Wear an eye patch during the evening. ● Do facial exercises to strengthen your muscles.